Two prankster best friends gets unwittingly involved in a terrorist plot and tries their best to save the country. Rivalry between families where Ganga takes an oath that she will make her son marry Sarang's daughter. 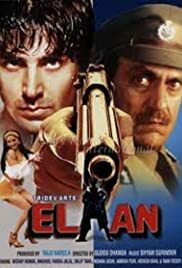 The movie Elaan is relatively unknown among audiences, but I found it to be one of the best action movies in Bollywood history due to its intensity. The performance and stunts of Akshay Kumar are truly remarkable as Elaan, Mohra, and many other hits became the base on which Akshay has built his successful career. Being one of his biggest fans, I would recommend this movie to any other Akki fan because the movie truly delivers. 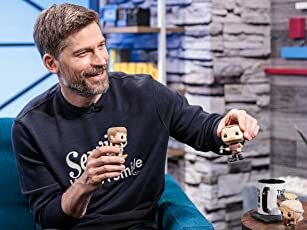 There is something magical about the whole film as all its components come together in a wonderful fashion to create a movie worth watching over and over again. Amrish Puri also is great in the movie as he performs at his peak. Elaan is one of the best movies in Bollywood ever made!